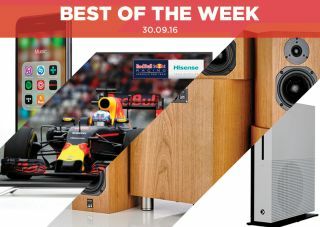 Best of the Week: Apple iPhone 7, budget 4K TVs, Chromecast Ultra and more | What Hi-Fi? This week's news included stories about a 4K Chromecast streaming dongle from Google, news that BBC's iPlayer will require a log-in from 2017 and the launch of a couple of new budget 4K TVs by Hisense. It was a bumper week for reviews with the Apple iPhone 7 smartphone, Revel Concerta2 M16 speakers and ATC C1 5.1 speaker package all scrutinised. This week also saw a brand new issue of What Hi-Fi? hit the shelves. November's magazine sees an AV receiver head-to-head, a wireless speakers group test, a fight to the death between six stereo amplifiers and all the latest news and reviews from the world of hi-fi and home cinema. You can purchase online or head to your nearest newsagent. MORE: November 2016 issue on sale now! It's expected that a Google event on 4th October will be used to announce the Google Home speaker - a rival to the Amazon Echo - and a 4K Ultra HD Chromecast. Dubbed Chromecast Ultra, it's likely to cost twice as much as the current Chromecast dongle and feature support for HDR, Amazon Video and Netflix. From 2017 onwards, iPlayer users will be required to register their details with the site, including their postcode. The BBC says these details will not be used to enforce the recent iPlayer legislation. Instead, they will be used to personalise content for each user. Hisense has launched two 65in 4K TVs with 4K HDR support. The M5500 and K5510 both cost £900, have four HDMI inputs and include app support from Amazon Video, Netflix and BBC iPlayer. "In a room a little smaller than the one we test in, at the moment we can think of no better alternative for the money"
This ATC package favours modestly sized rooms and if you have the money, it's worth every penny. The ATCs sound expansive and detailed, with a pleasing musical delivery that gives our reference PMC system a run for its money. "Even with the controversy, it’s hard not to see the iPhone 7 as another success for Apple"
Much has been written about Apple's exclusion of the headphone jack on its latest iPhone, but don't let that distract you from what is an excellent smartphone. Performance has been bumped up, the camera is terrific and it sounds even better. Controversy aside, this is a very clever improvement over the 6S. "These things don’t dent our enthusiasm too much. The M16s are a bundle of fun"
You may not have heard of the Revel brand before, but after the M16s this could all be about to change. They are a bundle of fun; assured when it comes to bass and dynamics, and deliver with real enthusiasm. One of the best speakers under £1000.